Our Architectural Fiberglass Columns are manufactured using the best in raw materials and are 100% made in the USA. They are available from 6″ to 48″ width or diameter and from 6′ to 30′ in height. 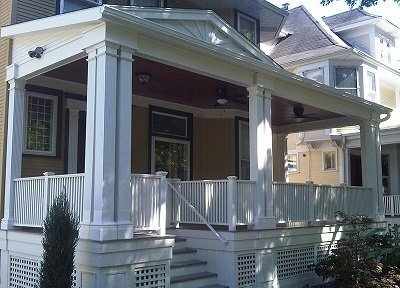 Our fiberglass columns are load bearing and architecturally correct. Round, Square, Plain, Fluted, Tapered, Non-Tapered, Paneled and Twist are just some of the styles that we offer. With our limited lifetime warranty, lowest price guarantee, and 25+ years of industry experience you can’t go wrong by choosing our columns. We pride ourselves in the knowledge that we acquired over the past 25 years. Our on staff architect is proficient in both AutoCAD as well as design and is always ready to help you in the design of your project. In addition to Tuscan and Doric caps and bases, we offer an assortment of decorative capitals and bases. 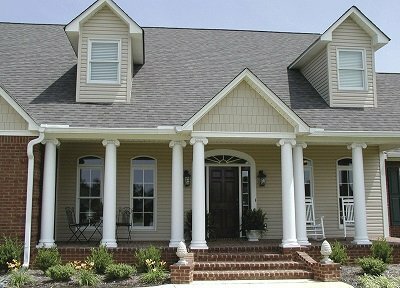 There is not a product currently available that can beat fiberglass columns in strength, durability, and/or cost.